Well endowed CITY pastor Lucy Natasha has been in the lime light gaining herself a celebrity status thanks to her stunning looks. The woman of cloth took to social media to encourage her fans who may be feeling low during this harsh economic times and this was her message. “Before the end of this month I see you receiving a miracle call. I see your phone being a medium of good news." 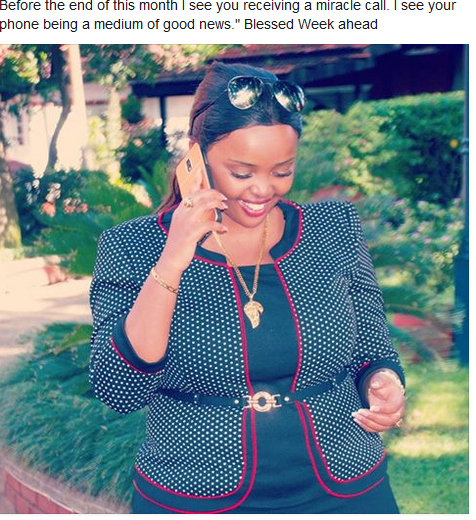 Blessed Week ahead” Said pastor Natasha.